Having a properly prepared outdoor living space includes outdoor storage. Being caught up in the middle of a party with nowhere to put down food and drinks isn’t a bad problem to have, a party is a party, but being ready will help things move along much more smoothly. Have a big party that you need to get around and serve drinks and food at? A cart is a much easier and more convenient choice than carrying everything by hand. They can also serve as mobile tables at smaller gatherings that you move to the middle of the party and leave for guests to serve themselves. Your guests need places to sit and you need spaces to store. These cushioned boxes combine these two features and can help you maximize a small space. You will be able use a space for seating and storing, two features in one. Maybe you need a place to set up all your bottles behind the bar, that’s the best reason to buy shelving! 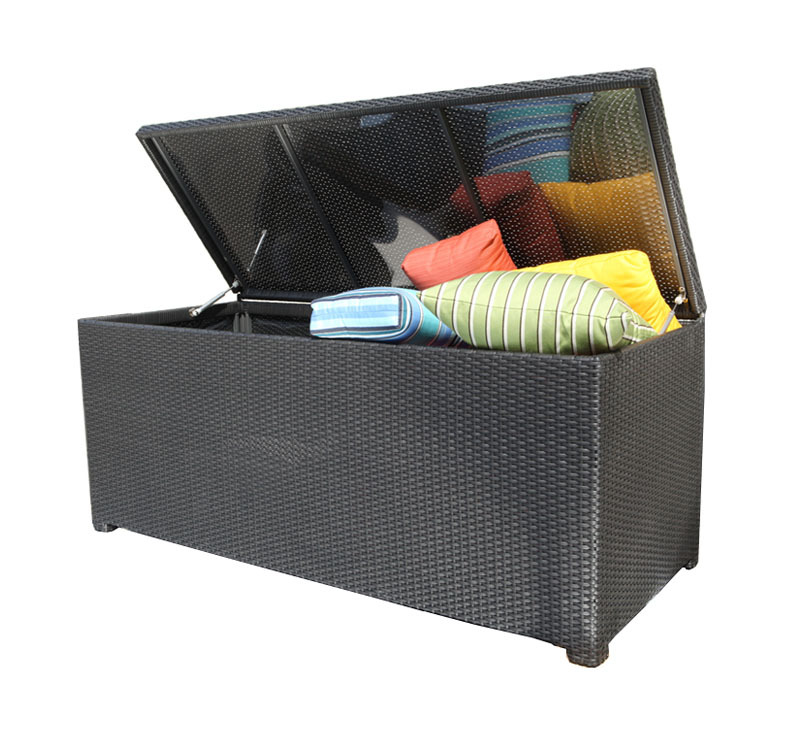 Ok, you can also use them for storing towels by the pool, cooking utensils for the BBQ and food preparation items. For those who really throw a big party! Having a big spread of food to fuel the swimming, fun and frolicking is essential. You’ll need a big space to put it all and a buffet table is the perfect place. Whether you are serving up a midday snack of cheese and fresh fruit, or a late evening 4 course dinner, you need a table to serve it off of. Please browse the product descriptions above and find the outdoor storage items you need, or contact us at Oakville Home Leisure today and we’ll help you build a more useable space!